Hahaha, another Chicken recipe!!! Awwww, I hope none of U get bored looking at my chickens! A simple yet delicious recipe...CHICKEN 65...South Indian's famous deep-fried chicken! There are lots of stories for how the name came about. But I'm not really picky on that...the taste does matter! For those interested with the name history, pls check WIKI! The ingredients may vary from others, but I just loved it this way! Okey, let's see the recipe! In a bowl, mix chicken with garlic-ginger paste, yogurt, chilli powder, turmeric powder, salt, vinegar, color and curry leaves. Leave to marinate for about 1 hour (the longer the better). Heat oil in wok, deep-fry the chicken together with the curry leaves till cooked. Dish out. Squeeze some lime juice over the chicken and serve together with onion rings. This dish goes well with any rice/bread/naan. Okey, b4 I forget...lemme paste a giftcard from my new cyberfriend Jagruti (Joy of Cooking). She's celebrating her 50th post! Congratz ya...enjoyed all ur posts...keep them coming! Thanks alot for the thoughts! yummy & mouthwatering and my most fav starter...curry leaves in it gives such a nice flavour,looks awesome..
Oh, what a greedy recipe! I love chicken and this looks so god. 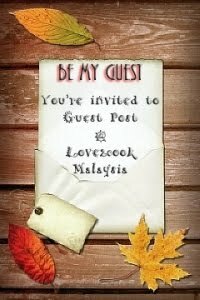 akak tak kisah berapa byk post love psl ayam goreng ni sbb akak mmg suka buat ayam goreng!!! klu terfikir nak goreng ayam je, akak masuk umah love je cari resipi.hihi...tqvm love!! OMG...am drooling rite now here..my fav dish..Awesome clicks dear..
Looks awesome! I love the beautiful shots! Mouthwatering! hai love....macam best ajer chicken tu..tang no tu yang best..nanti akak trylah nak buat..
KakCM ~~> Hehe, love pun suka sgt ayam goreng kak! my son too...! Good Information. Thank you for sharing and I want to share information about Tandoori Chef which is An authentic North Indian, fine dining restaurant, Tandoori Chef offers Hackensack and the surrounding area a wonderful taste of Indian cuisine. Nice Blog. Thank You For Sharing..